THSC loves to celebrate the amazing leadership of THSC Partner Group Leaders, especially leaders who overcome a challenging homeschool journey to inspire other families! On Thursday, May 11, 2017, THSC named Melissa Johns of T.E.A.C.H. (Texarkana Educators Association of Christian Homeschoolers) the 2017 North Texas Leader of the Year. We enjoyed a wonderful time at the Texas Leaders’ Conference and truly enjoyed meeting Melissa. In her own words, here is our 2017 North Texas Leader of the Year! My husband and I married April 21, 1990. 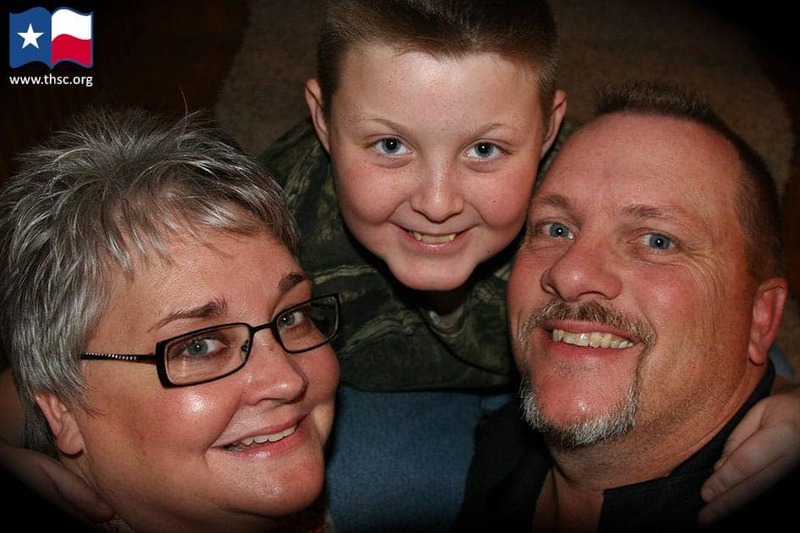 Early in our marriage, we moved to Tulsa, Oklahoma, where we were introduced to homeschooling. At that time, God used a special family in our church congregation to give us the desire to homeschool our children. Why would God give us such a strong desire to homeschool and not bless us with children? Could it be that He simply wants us to encourage homeschooling families instead of actually homeschooling? Finally, after eight years of much prayer, God blessed us through adoption with our son, Nathaniel. Nate truly is a “gift of God,” which is the meaning of his name. My husband and I consider homeschool to be a way of life. So, we consider ourselves to have been homeschooling our son the past 17 years. In the beginning, I remember wanting to learn all that I could about homeschooling. I joined a local homeschool support group and immediately became active. My personality is such that I have lots of ideas. And, that inclination naturally led me into various positions of leadership within our support group. As president of Texarkana Educators Association of Christian Homeschoolers, I believed that my role was to encourage families in their homeschooling journey. I felt that it was important for me to be transparent and real to the families within our group. My prayer was for God to use me to encourage families to see God’s calling to homeschool their children. I also prayed that He would guide fellow homeschoolers through all that He called them to do. As I look back on my 15-plus years of leadership within a support group, I see that God has taught me and continues to teach me a lot! Finally, God continues to teach me that everything He has planned will happen. (Isaiah 14:24) And for that truth, I am most thankful. 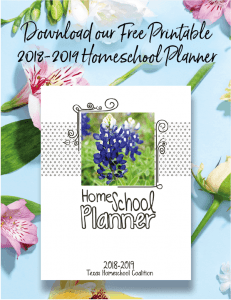 THSC loves to support Texas homeschool group leaders and families in their groups! If you are not already a THSC member, please join today to help us continue offering exceptional support for THSC Partner Groups and their member families. 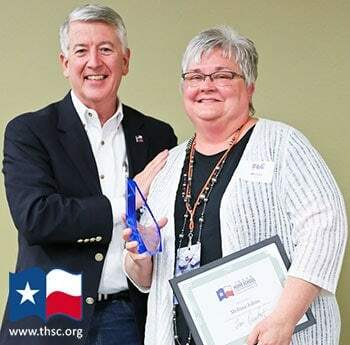 Supporting group leaders like yourself is how THSC continues Keeping Texas Families Free!